Say goodbye to the days of chafing and other riding maladies associated with loose-fitting riding shorts. 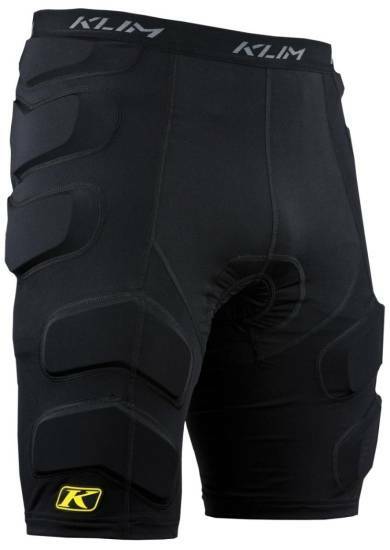 The Klim Tactical Short is designed to keep your equipment stowed properly and to wick moisture away from your skin to ensure maximum possible comfort on your ride. The saddle area is constructed with a high-tech triple-density chamois that will help absorb riding vibrations and cushion your ride. PORON XRD Extreme Impact Protection material is embedded in strategic locations to help absorb impacts. On impact, the PORON XRD high-performance molecules create a unique protective shield that can repeatedly absorb up to 90% of the most intense force. Poron XRD intelligent foam is used in many KLIM products. From leg, hip and tailbone coverage in our Tactical Shorts to knuckle coverage in our Adventure, Element Long and Element Short motorcycle gloves, we rely on this tech to keep impacts from ruining your ride. Check out the demo video below and you'll quickly see why we put it in our shorts.